Dale and Cindy Eade own and operate Cindale Farms, LLC outside of Marianna in the Florida Panhandle. Dale and Cindy both grew up in Pensacola—neither with a farming background. But Dale’s grandfather and uncles from Illinois were dairymen. Dale and Cindy met at the University of West Florida, where Dale’s father worked as a professor. Dale went on to earn a Bachelor of Science in Dairy Science at the University of Florida. One of Dale’s biggest successes in college was his marriage to Cindy, his wife and partner at Cindale Farms, who “holds down the fort” when he’s away. Dale began his dairy career at Bassett Dairy and stayed until they were sold in the early 90s. Afterward, The Eades rented a farm in Cottondale, where they milked just under 150 head without any additional labor. 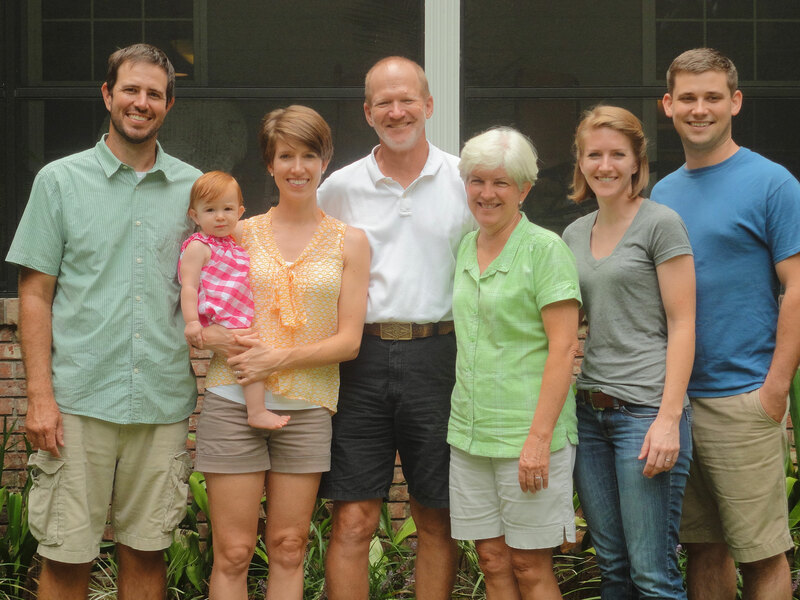 Dale, Cindy, and their two daughters had established a true family farm. They went on to rent a farm in Marianna and built the herd to 300 plus milking age. In December 2003 they moved the herd across the road to a farm they’d purchased. At this point they carried over 600 head. The cows are fed and cooled in barns with fans and misters, plus have access to the pasture at all times. The entire farm covers about 500 acres—seventy acres were made into baleage, some under pivot. Within the past few years, Dale and Cindy’s two daughters have moved home and are involved with Cindale Farms. Older daughter Meg is a veterinarian. After a few years working in private practice, Meg and her husband Brad Austin moved home and are now partners at Cindale. Younger daughter Lauren and her husband Zach O’Bryan recently moved back to the area as well. They make and market ice cream—using Cindale milk—to high-end consumers under the Southern Craft Creamery label. Dale serves as Southeast Milk, Inc. Vice-President, an active member of the SMI Trucking Committee and Chairman of the Pricing Committee. He also serves on the Commissioner’s Dairy Industry Technical Committee. Cindy is deeply involved in dairy industry organizations as well. She serves on the Northwest Florida Farm Credit Board of Directors, is a Director for the Jackson County Chamber of Commerce, and serves on the Commissioner’s Soil and Water Conservation Council.